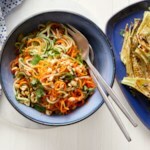 Skip the chopping and spiralize cucumbers for an easy vegetable side dish. 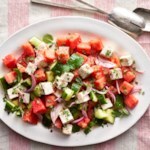 Add grilled chicken, shrimp or chickpeas to make it a meal. 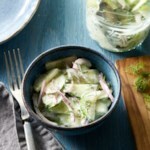 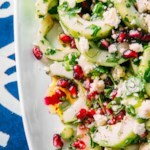 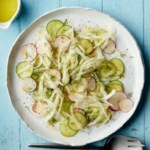 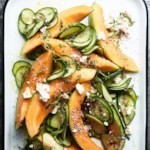 "How to Make Spiralized Mediterranean Cucumber Salad "